Jessie is a smart 9 year old quarter type Red Roan molly. She is perfect size and has a wonderful willing temperment. She will ride with a loose rein anywhere you point her. 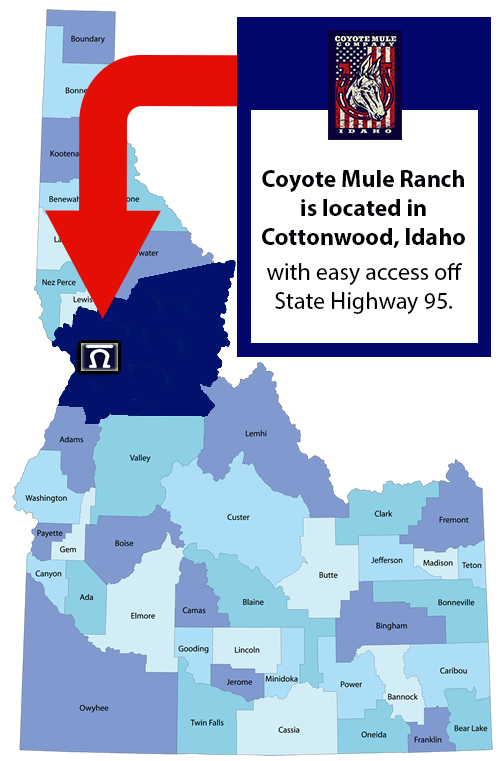 This mule is game for .....Follow along for MORE Details & Photos. Hanna – 17 year old, Sorrel 15 hand molly, quarter type. Rides and packs for grandma! Hanna has been there done that. She is in excellent shape and I happy to do what is asked of her. 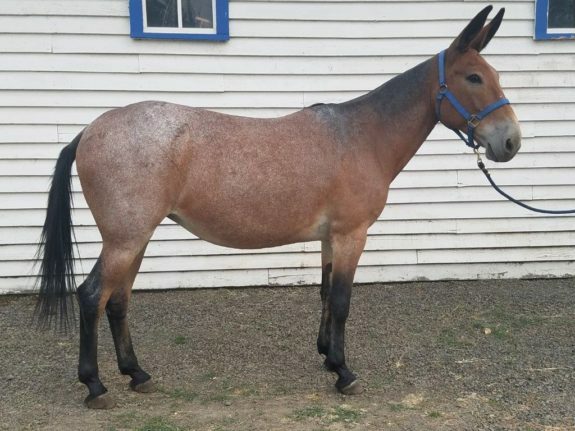 This mule is smart and will no hurt herself or anyone over anything! She is perfect to gain .....Follow along for MORE Details & Photos. 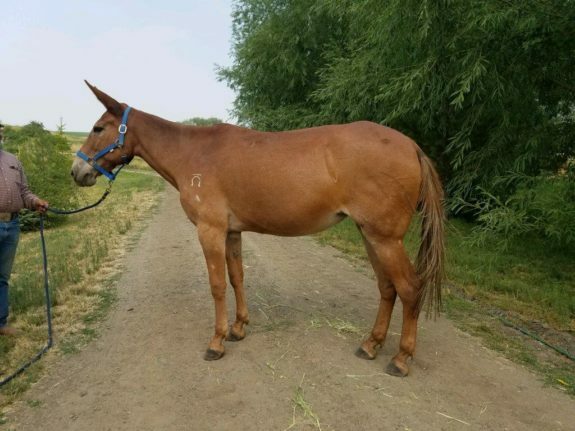 Macy is a 10 year old 14.3 hand tennessee walking bred molly mule. 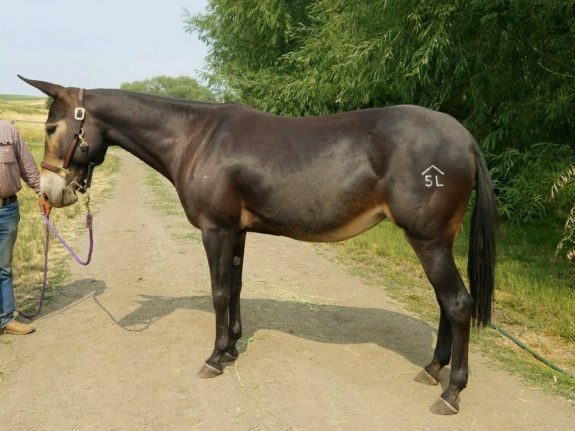 She has a wonderful gentle temperment and loves attention. Confidence to ride by herself in traffic or the .....Follow along for MORE Details & Photos. Lexi – 10 year old 14.3 hand molly. Rides and Packs with class of a Lexus! 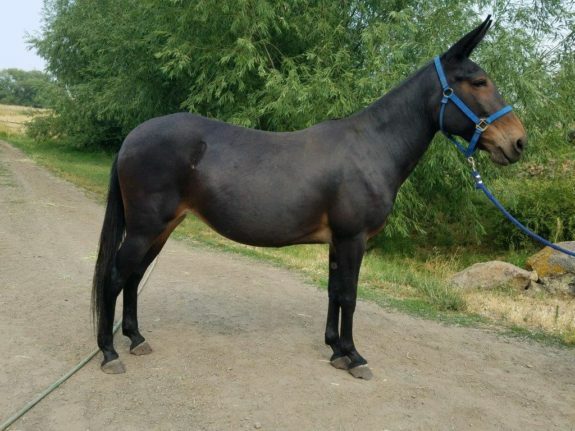 Lexi is a 10 year old dark brown molly that may be the prettiest mule around. She is quarter type and rides smooth and easy. She is as safe of a mule as we can find. She is very, very, gentle and .....Follow along for MORE Details & Photos.